OK, this is going to be kinda raw and unpolished, but it truly is hard to capture what I’ve been experiencing in a polished and succinct way. 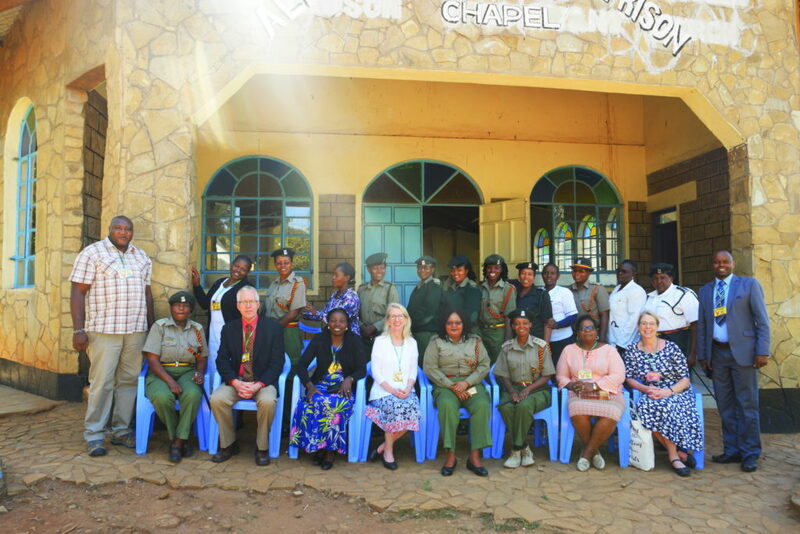 It’s hard to put words to what it was like to enter a Kenyan prison. It’s overwhelming. It’s profound. To the point I am struggling to capture words. My first day of prison was simple and rich and stimulating as we interacted with people who run the prisons and prayed for them in their office before we entered. We met officers who are smart and serious and human and kind. We met chaplains who work for the government and spend every day with men, women and juveniles serving a little or a lifetime behind bars. Maybe most difficult to describe is the imprisoned men and women I spoke with, shook hands with and worshiped next to. They’re hungry for Good News. They’re hungry for God’s love and God’s Word. Some still are angry and broken and hard and fearful. They are being prayed over and sitting in plastic chairs next to others who have said ‘yes, I believe’ and are being transformed. My first day in a prison ever was in Naivasha Prison. It is a maximum-security facility. I first met guards, then the officer in charge (OIC) — the man who runs the prison. Jefferson Gathu, the director of Crossroads Kenya, explained to the officials why we were there and who we are. We were offered the use of the officers’ bathroom. That’s a privilege, I’m told. Eventually we headed to the chapel area where we entered into a space where loud singing had been going on for a while. A worship team of five brothers were expressively leading the room praising God. O sifuni mungu! 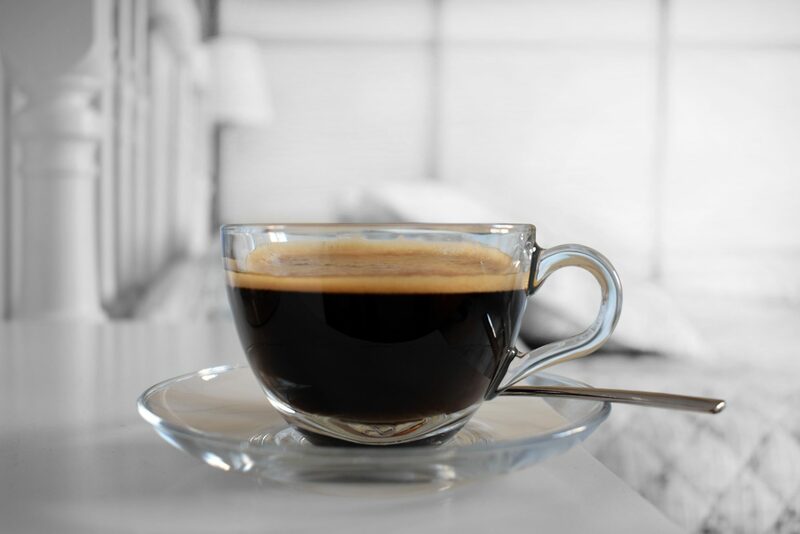 … Praise the Lord! 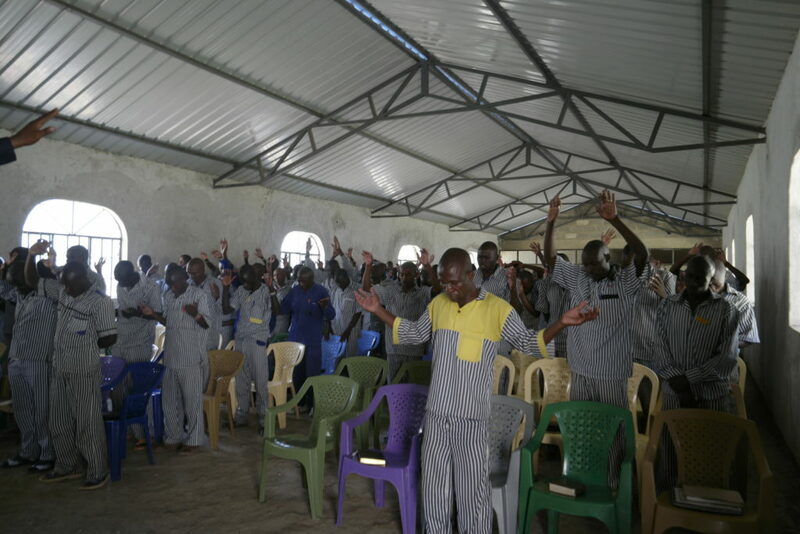 Kenyan prisoners worship during a prison church service. A young man was playing the keyboard, as two others ran a sound board. We were led to chairs behind the leaders and we stood and clapped and sang when there were English words. I felt at home. I’m comfortable here. It was mostly the same as my lifetime of going to church with people I know and don’t know; people who believe and don’t believe in Jesus; people who are searching and those who are madly in love with God; people who lead and people who listen; people who smile and engage in worship and people who don’t; people who are there for duty and those who are there for hope. There were only four women in the room. That was a new experience. I didn’t imagine this at all. I was overwhelmed and fully present. Our entire team would later describe to one another the time in prison worship as intense. Singing is intense. Prayers are intense. The preaching is intense, zealous. I was so filled with joy that I’m holding back tears. This is exactly how JR greeted the people when we led worship in Colorado for so many years. 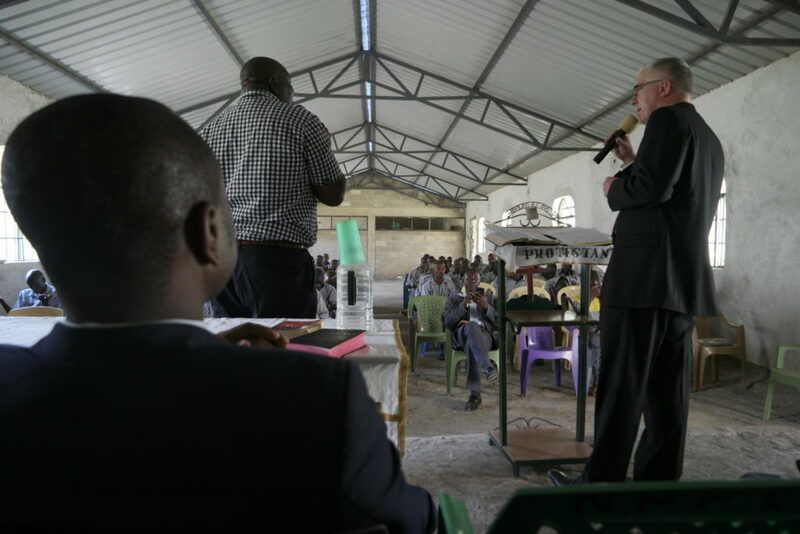 JR DeGroot, VP of operations and finance at Crossroads, preaches inside a Kenyan prison. Then he brought all he had with passion and focus. JR clearly preached about King David’s moments of victory and great leadership but also about his moments of great sin. Psalm 65 and 67 were the focus, 65 being being the emphasis of the message; 67 being the benediction. He raised his voice when he pointed to God’s purpose and work in his people, how He uses every life circumstance for His Kingdom and His glory. JR was followed by Brother Kenneth who preached charismatically with loving force, inviting men to give their life to Jesus; to believe Jesus is for them, see’s them, wants relationship with them. Here the presence of the Holy Spirit is felt. 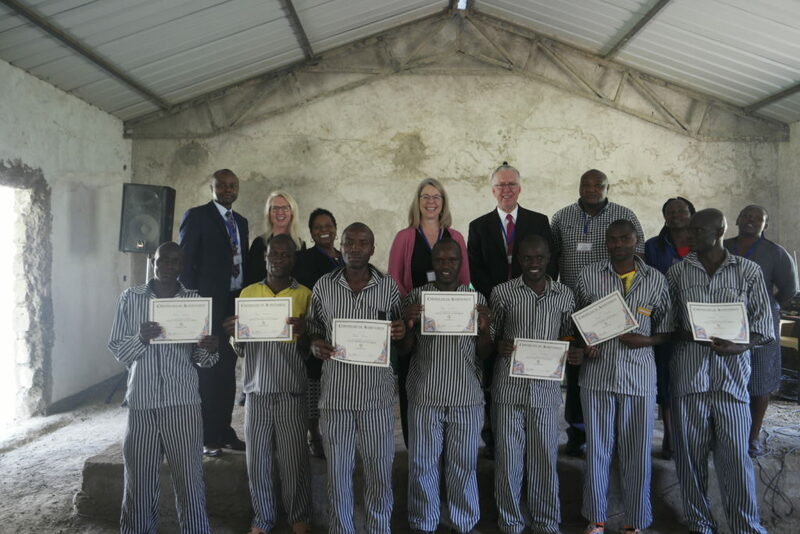 The Crossroads USA team honors the Kenyan Crossroads students who received certificates. We finished with prayer and a graduation ceremony with certificates for each man who has finished a Crossroads Bible study series. We took their photo and each of us who had come from the outside shook their hands and looked into their eyes and congratulated them. What is overwhelming and profound is not reading or agreeing with the phrase “Christ is Everywhere.” What is overwhelming and profound is seeing Christ Everywhere in people I’ve never met or thought about, in places I’ve never been nor imagined I would ever go, surrounded by circumstances of harsh reality. Good morning church! Wherever you meet, Christ is there. Good morning, church! Perfect. How wonderful and amazing. And JR preaching!